strawberries are red and chocolate is chocolate. 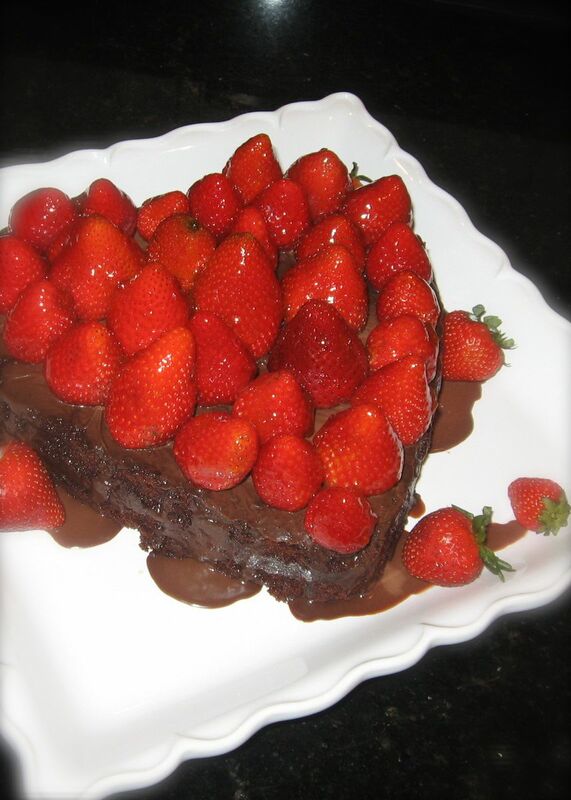 I adore this take for ROSE’S heavenly CAKES: Double Chocolate Valentine (page 113)! Lovely with strawberries, H! Which did you like better, the mac take or the strawberry one? J, wish i know, my palate didn’t have a chance to take this! the mac take was really really good though.